So after a busy Christmas and new year full of parties and seeing friends last week I realised  my hair needed a little something to bring it back to life and looking healthy! So I decided to take matters into my hands and grab something to make it feel a little normal again! 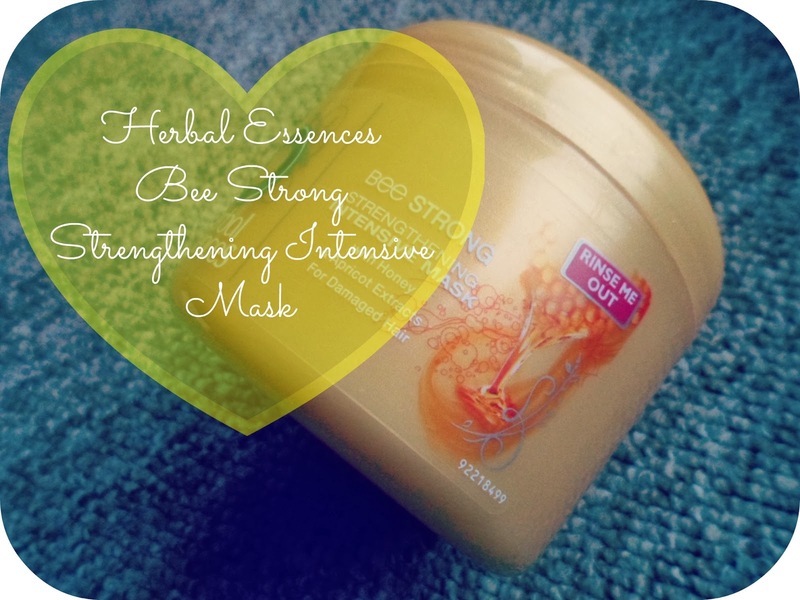 One of my beautiful friends has recently mentioned that she has been using the new Bee Strong range from Herbal Essences and how much she was loving the results from it! So when I saw that it was half price in boots I decided to grab the 200ml Strengthening Intensive mask to try out on my poor lifeless locks! The last few years I have stayed away from your everyday drugstore branded haircare and stuck with the salon brands that I love like Lee Stafford and Charles Worthington. Even though other brands like Herbal Essences are cheaper I always felt like I went through the bottles so so quickly and was more or less spending the same by buying a slightly more expensive brand that lasted a lot longer! 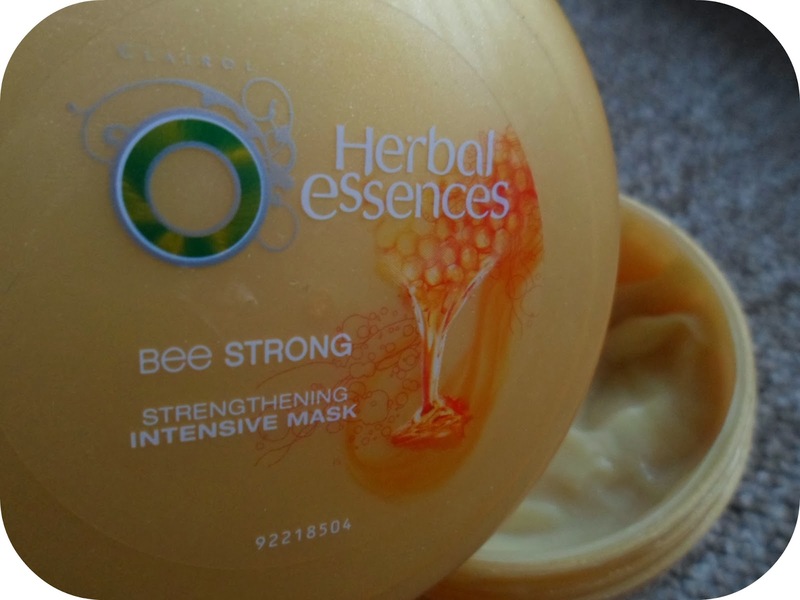 But with the price for this weekly treatment mask being only £2.09 (half  the usual price of £4.19) and the Bee strong range being something I haven't tried before I thought I had nothing to loose by giving it a go! First of all the smell..... At first I really wasn't sure on it. It is meant to smell like honey but compared to other honey based products I have had in the past it didn't have that nice sweet scent to it! But nevertheless it isn't awful and it slowly got better the more I smelt it! Once I have shampooed and conditioned my hair like normal I grabbed an egg sized amount of this stuff and whacked it all over my hair from root to tip! I then left it in for around 3-5 minutes and washed out as normal! This is advised be used once a week and that is how often I will be using it! I always let me hair air dry unless I am going out somewhere and need to have it down and styled (hardly ever). I feel like my hair feels so much nicer and smoother if it is just left to dry naturally! My first thoughts on my hair after using this product was 1. How much less frizzy my hair seemed to be once dried (a miracle!) 2. How much shiner it looked and 3. how much stronger and healthy my ends felt, I'm always worried they will look stringy and limp. Overall I have been really pleased with the results from this mask! If you fancy a little pick me up for your hair , if it's feeling a bit damaged and dry, then go grab this while it's half price - it is a bargain and has even tempted me to try out the rest of the Bee Strong range - have any of you tried them out yet? It's a shame about the scent! I love honey scented products but its definitely an acquired taste. 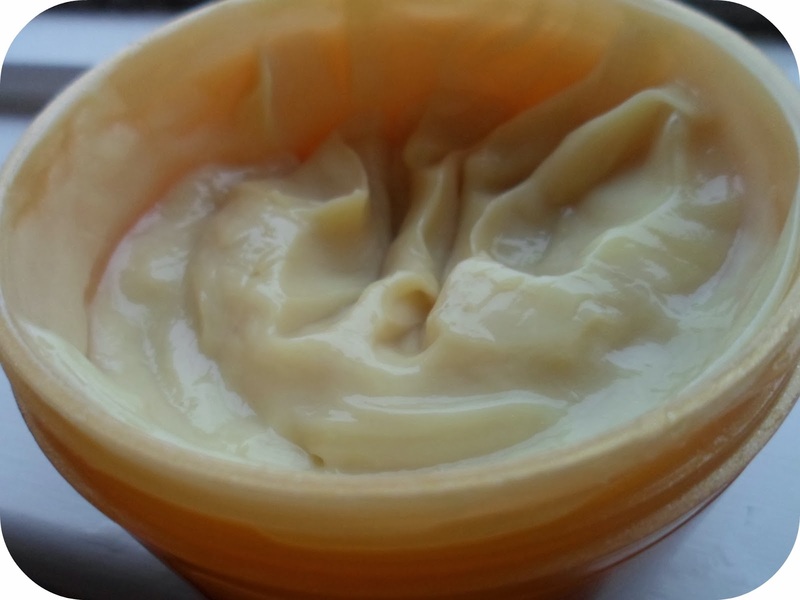 I'm loving Bodyshop's Honeymania range at the moment so I'd love to give this mask a try! I'm definitely going to give this a try now, the shampoo & conditioner in the ranger were featured in my 2013 favourite and the fact they leave my hair so much less frizzy than any other shampoo & conditioner i've tried was one of the main reasons i'm such a big fan.